Tiffany Catered our wedding reception, and it was by far the best experience that we could of asked for. Her staff was so professional and helpful. Our food was delicious, and my sweet table was superb!! Thank you Tiffany for making our evening the best I could of ever asked for!! Tiffany was wonderful! Although we had some last minute changes (all within contract) she was able to roll with the punches! We’re looking forward to our next event with Tiffany by our side! Thanks Tiffany! 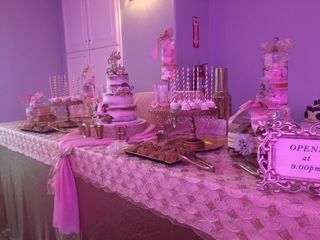 I used Tiffany's Catering for my husband's birthday party and she was amazing in her attention to detail and it was a great spread for our dessert table and the buffet table. Our theme was Havana Nights and Tiffany was super helpful in creating the perfect party environment that fit the theme so well. Her servers and bartender that I hired from her company were fantastic as well. I would highly recommend Tiffany's Catering and can't wait to use her again for our future events! 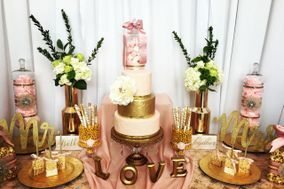 I loved loved how flexible and wonderful my caterer was, she was able to provide both catering and wedding supplies. She really worked with me on affordability and was the sweetest and kindest person. I really enjoyed her and her staff. The food was great!